As you make your travel plans to Ecuador, it’s important to be aware of current laws regarding what is allowed to be brought in duty-free to avoid paying hefty import taxes. Below is a synopsis of duty-free items that can be brought in through airport customs. More information is available on Ecuador’s Customs website page for international airport travelers. If you bring in merchandise that is not considered to be a personal item and its commercial value is greater than $500, you will be required to pay import taxes at Customs in the airport. The amount due is calculated based on the commercial value of the good plus the cost of freight (equivalent to $ 1.50 per kilogram) plus the insurance value (calculated as 1% of the commercial value). We recently learned about paying import taxes at the airport firsthand when Tom brought in a drone he had purchased in the US so we could capture aerial footage of Ecuador’s coast, properties and construction projects. Airport customs officials determined that the drone was valued at over $5o0 and would not consider it to be a personal item despite Tom’s initial attempts at friendly persuasion. They asked Tom if he possessed a certified letter demonstrating that he was a professional who required use of a drone. He didn’t so they proceeded to move him over to an adjacent office to calculate the import tax due. They looked up the retail value of the drone from the internet. Their value nearly coincided with what he actually paid. Here’s the breakdown of what was charged: the base import tariff (“arancel advalorem”) was determined to be $573.80. Plus, there were two separate taxes charged: The first tax was $14.35 to FONDINFA, a fund supporting infant development. The second tax was the IVA (Ecuador’s standard value-added tax) which came to $414.86. The grand total due was $1,003 or a whopping 35% of the retail value (ouch!). They gladly accept cash or credit cards. Some insights gleaned from the experience: In this case, the value estimated by customs was pretty close to what we actually paid, but to be safe, it would be wise to bring in your own receipts to avoid being overcharged. Tom could have tried to fight their conclusion that the the drone was not for personal use and he could have filed an official complaint to try to avoid paying the tax. However, this would have required him to leave the drone in the Customs official’s care until the case was resolved. Never, ever a good idea! So, take your chances! In retrospect, Tom could have bought the same model here in Ecuador for about $600 more than what he paid in the US. However, he was banking on the drone being considered a personal item in a similar manner that high-end digital cameras would be considered personal regardless of their cost. February 23rd is election day throughout the country (referred to as “Elecciones Seccionales“). All are elected for 4-year terms without term restrictions. 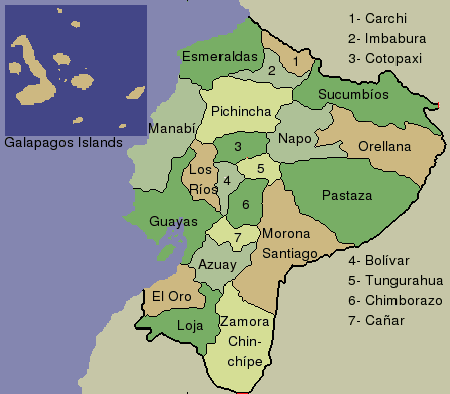 Ecuador, with a geographic area equivalent to the US state of Colorado, has 24 provinces. 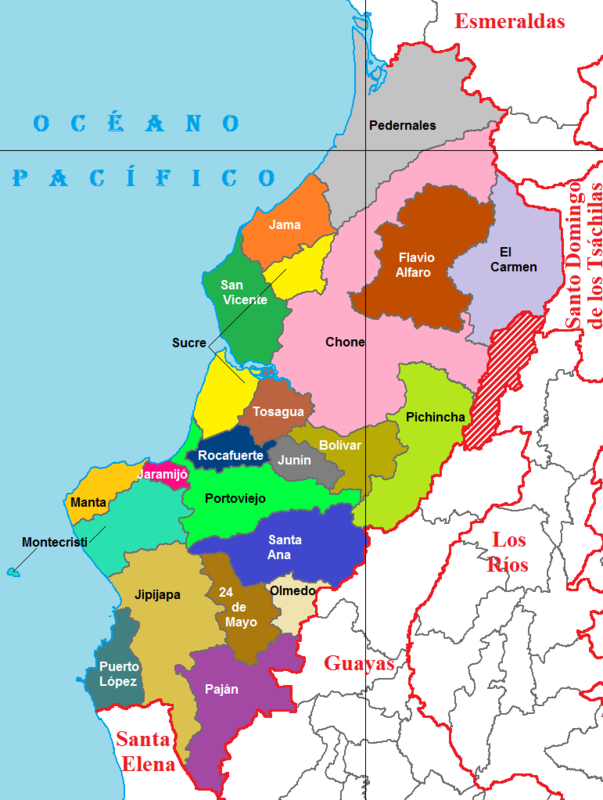 Each province is comprised of cantones (cantons) which are further subdivided into parroquias (parishes) that are classified as either urban or rural. In our case, we live in the town of San Clemente, which is affiliated with the rural parish of Charapotó, located in the Cantón of Sucre, in the Province of Manabí. The county seat of Sucre is the city of Bahia de Caráquez. The provincial capital of Manabí is the city of Portoviejo. The coastal province of Manabi is subdivided into 22 cantons. 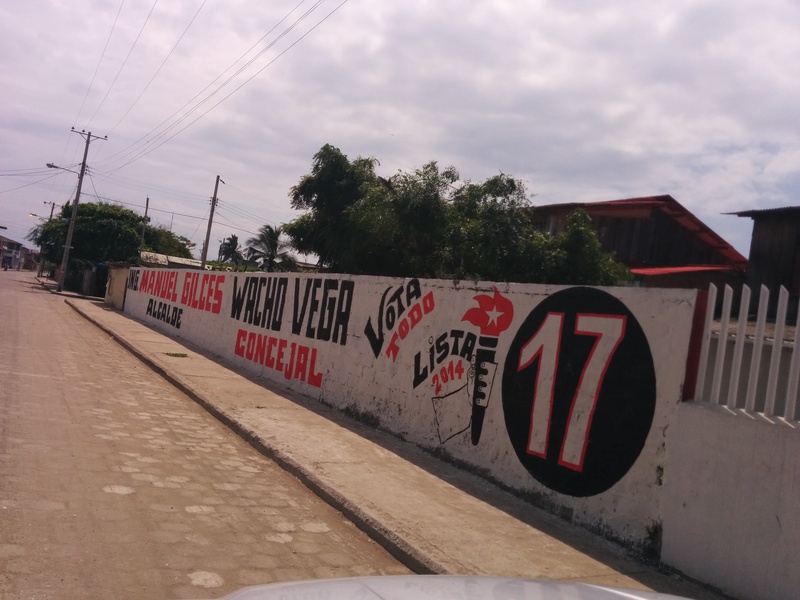 In Manabí, there are nine candidates running for prefect (and thus nine political parties represented). The current prefect, Mariano Zambrano has been in office since 2005 and is up for re-election. In our canton of Sucre, there are six mayoral candidates, two of which are female. There are a LOT of political parties. There are 11 parties with seats in Parliament and 24 non-parliamentary parties. Each political party has a number and color scheme associated with it. For example, President Correa is affiliated with the Alianza PAIS party, with number 35 and its colors are lime green and dark blue. 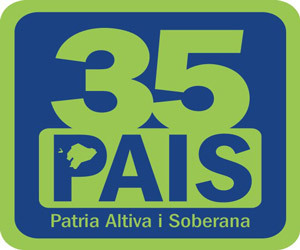 The name, number and color scheme for President Correa´s political party. Political campaigning is restricted to a total of 6 weeks (January 7- February 20) and consists of an onslaught of tv and radio commercials, posters and flags on vehicles, homes, and businesses, parades of honking vehicles with blaring music, as well as wide scale painting of public and private walls with candidates’ names and their party numbers. Walls are a primary way of political campaigning in Ecuador. This wall is located in San Clemente. Voting is mandatory for Ecuadorian citizens between the ages of 18 and 65 residing in country. There is a monetary fine for not voting equivalent to 10% of the monthly minimum wage. After placing your vote you receive a “certificado de votación” or voting voucher that you are required to present for most kinds of applications such as opening a bank account, applying for marriage, etc. Voting is optional for those aged 16 to 18 and over 65, for those serving in active military duty, for illiterate or disabled citizens, and for foreigners with legal residency. Election results for the prefect and mayoral candidates will be determined the day of the election. Also noteworthy is the fact that the sale and consumption of alcohol is prohibited 36 hours before the elections and 12 hours afterwards (starting at midnight on Feb 21 and ending at midnight on Feb 24). This law is called the “Ley Seca” or the Dry Law and is a real bummer to unsuspecting tourists and expats! …Sorry, Tom, guess we´ll be celebrating your birthday (Feb 22) this year at home!